Appointment Setting over SMS, Voice, Email, Chat. Letting users communicate over their preferred channel and on their own timeline leads to higher conversions and a better experience for the end user. The TeleDrip AI Assistant can schedule an appointment with your leads through email, text message, web chat, or even phone calls using sophisticated Speech Recognition technology. 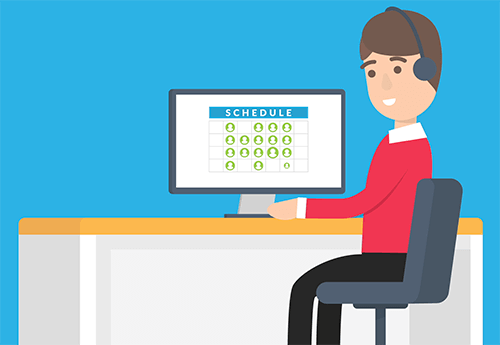 You can choose to have TeleDrip call the leads at the scheduled time using the Scheduled IVR feature or you can send the schedules to Calendly, Google Calendar, or your CRM or dialer and have your agents make the scheduled calls. 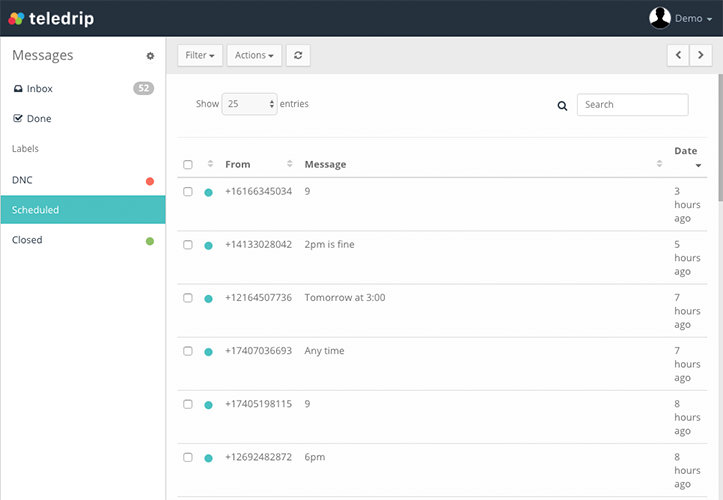 TeleDrip offers full transparency over the scheduling process. You can go into your inbox at any time and click on the schedules tab to view all of your conversations where our virtual assistant identified and processed a schedule. You can also manually add a schedule through this same interface. Improve your contact rate and boost your engagement to drive more sales.